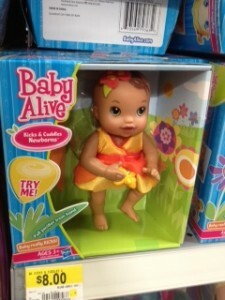 Baby Alive Kicks & Cuddles Doll Only $6 at Walmart! If you don't need this toy, consider putting it in your emergency gift stash. I'm sure a little girl you know would love to have this eventually!